32,400 SF (+ or -) industrial building (including 3000 SF unfinished mezzanine office space) on 13.9 acres just off US Highways 2 and 52 on the west side of Minot. Zoned M1, security fenced with controlled access gates and lighted, improved yard with truck plug-ins. 8 bays, 2 of which are 160’ x 30’ drive thru wash bays with huge custom drains, has a 12,000 SF open shop with 10 ton crane over 6 drive thru 100’ bays all sprinkled. 15+ individual offices, air condition, conference room, locker room, parts room, heated floors and municipal sewer and water. 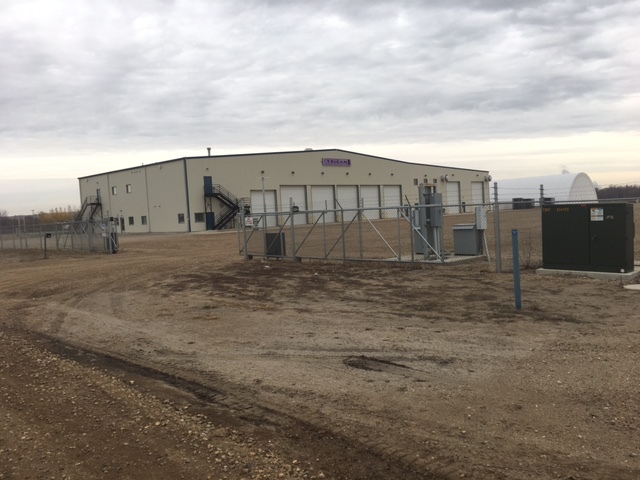 This like new condition custom designed building is adaptable for many users, industrial, trucking fabrication, wholesalers, major oil field service applications, is just outside Minot city limits with the most ideal Minot access to the Bakken and Canada. Available immediately for sale.